INGREDIENTS: coriander, chillies, ginger, garlic. 2-3 minutes ……Remove all packaging …Remove coriander leaf from pack. 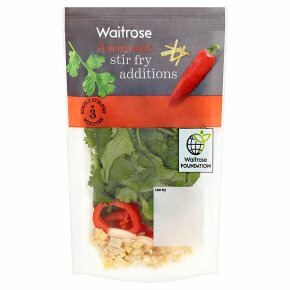 Add chilli, ginger and garlic to chosen stir fry vegetable mix in wok and cook for 1-2 minutes before cooked, stirring continuously. …Stir in coriander leaves and cook for a further 1 minute. Serve immediately.